Are officials in the state of Texas in violation of election law? I believe after you examine these examples, you will be thoroughly convinced that state and county officials across the state are committing multiple violations of the Texas Election Code and the Texas Constitution. Some say officials have known about these violations for years and instead of resolving serious issues, they stood silently and ignored glaring faults in the state’s computerized voting systems. Many of these issues may have altered the outcome of state and local elections. 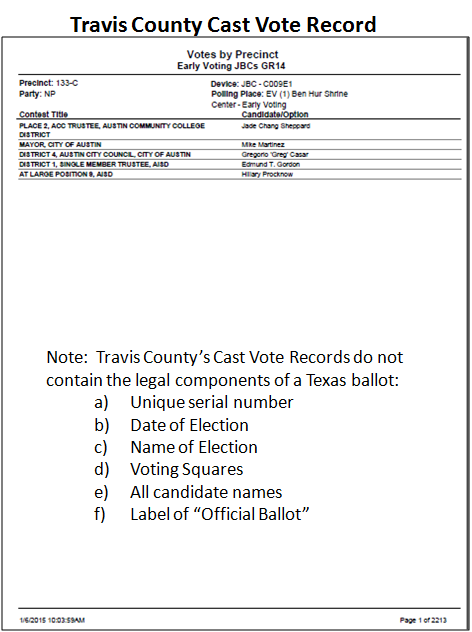 Since the beginning of computerized voting in Texas, only one candidate, Dr. Laura Pressley, has come forward with information that cast doubt upon the entire system for choosing our elected officials. That should be alarming news to every voting Texan.